Finally! 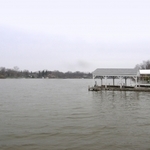 Your own Lakefront home at an unbelievable price! 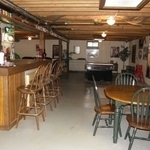 Quality 3 bedroom/2 bath retreat features over 1600 sq.ft. of casual living. Additional 1600+ sf can be achieved by finishing the full lower level walkout. Capture picturesque views in the two most used living areas, the open living room and spacious kitchen. Unwind by the shore where cool breezes, rhythmic tide, refreshing sun and water rejuvenate you. Want more fun-in-the-sun action? 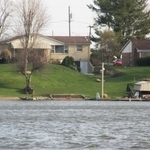 Boat, ski, wake board and swim right from your own private dock, boat lift included, boat sold separately. Fire up the grill after a day of fishing. The covered patio is a perfect place for outdoor dinner's and much needed shade. Wind down the day by watching a spectacular sun set over the water. At dark, enjoy s'mores over an open fire on your private sandy beach. The next day? Wake up and do it all over again! Ten minutets from I-71 Cincinnati/Columbus Exits. Near US 35. 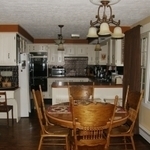 Enjoy Resort Living while being only 25 minutes to WPAFB.